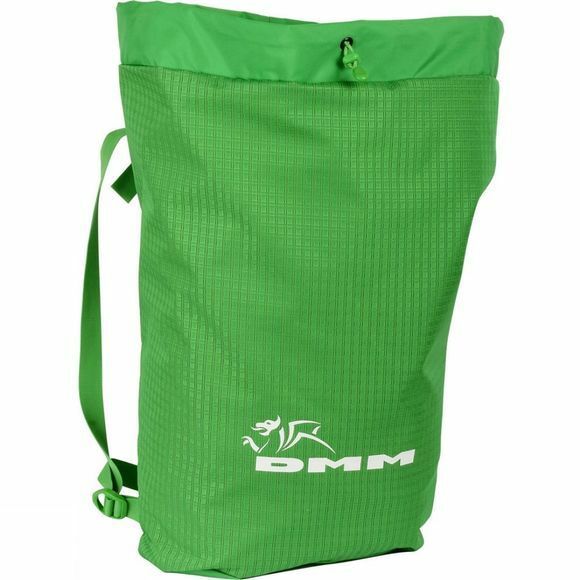 The Pitcher Rope Bag from DMM is a lightweight, packable rope bag that is both easy to use and super versatile. You can pack it in a rucksack snag free, carry it as backpack, use it as a rope bucket on sea cliffs, or as an essentials bag on multi pitch routes. The tarp design allows quick and convenient rope stashing. 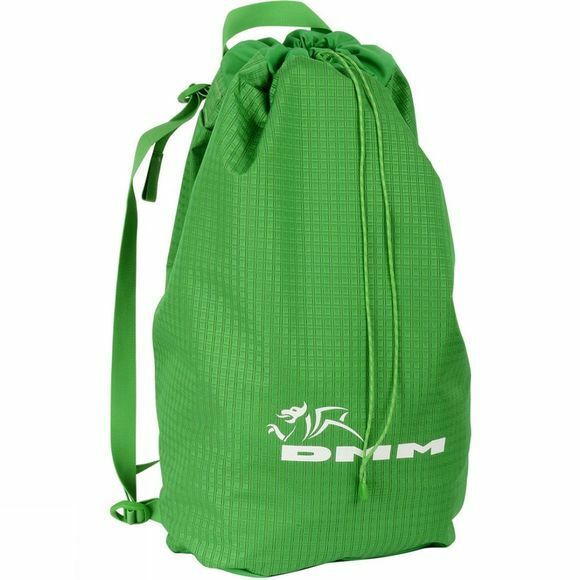 Use it as a rope bag, a rope bucket, a carry en-route sack or a nipping to the wall bag. Large enough for an 80m single rope or a pair of 60m half ropes along with essentials such as helmet, harness and shoes.